We’d love your help. Let us know what’s wrong with this preview of Forest of the Damned by Lee Mountford. To ask other readers questions about Forest of the Damned, please sign up. I bumped this up bc of the end. I was thinking three, then no, 3.5 because of some things. There were some weird and wack things in a few parts because, well, demons, right? Going willingly into the Black Forest ... having weird experiences right off the bat.., and despite many things happening you keep on going; eh— I’m just gonna say the ending was a ‘whap it to you’ kind of thing. Solid ending. Smack! That’s the business. Lee Mountford hits a hole-in-one, a homerun and a first round knockout in this smoothly written novel - his best work yet. The tale follows four paranormal investigators who embark on a hike through the infamous Black Forest to uncover the legend of Mother Sibbit and the Lost Village. Little is known about these ancient woods, other than the warning of a local resident. The investigation has a promising start, but when one off their number goes missing, Hell is only the begining. Lee Mountford ha Lee Mountford hits a hole-in-one, a homerun and a first round knockout in this smoothly written novel - his best work yet. The tale follows four paranormal investigators who embark on a hike through the infamous Black Forest to uncover the legend of Mother Sibbit and the Lost Village. Little is known about these ancient woods, other than the warning of a local resident. The investigation has a promising start, but when one off their number goes missing, Hell is only the begining. 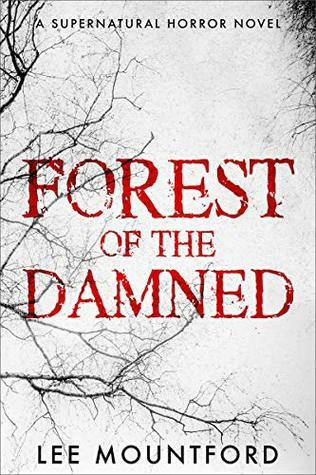 Lee Mountford has already proved himself to be one of Britain's best horror writers working today, but The Forest of the Damned is his greatest achievement to date. His writing is fluid and flows at an ever increasing pace, building layer upon layer of intense horror and suspense. The characters are well developed and likeable, and Lee unleashes some of his most hideous and terrorfying creations so far. If you're serious about horror, get serious about this one. Page turning excitement! I couldn’t put the book down!! At one point I was reading and it was 6am! I’d read for hours and get groggy at work but I don’t regret it! Lee mountford is undoubtedly one of the best horror genre authors I have ever read. I’d even say he’s earned the ranks of such authors as Stephen King and Dean Koontz in my eyes! Another great read from Lee Mountford , Not your normal scary story ,he takes it to the next level ,where some authors may draw the line. Just when you think you know how it's gonna end, he takes a sharp left . An addictive story line that is gripping, scary and utterly twisted! It’s a book you can’t put down and my favourite book by Lee Mountford so far!!! Yet another amazing read from a fantastic horror author! Had me hooked from beginning to end. I have to wonder where he comes up with the ideas for his books, one scary mind but keep them coming!! I am a new author with a love of Horror. Of course, other genres float my boat as well; Sci-Fi, Thrillers, pretty much any Dark Fiction, but Horror is what I call home. My first novel, Horror in the Woods, was released on 5th May, and the second, The Demonic, on the 18th July.